Last Name: BOSTON First: John Middle: W.
Ledger Notes: Age: 69 Yrs. 11 Mos. Had a family farm (hay, cattle, filberts) on the east side of S.W. Brown Road and near the main entrance to Dammasch State Hospital, north of the Otto Jaeger farm and south of the William (Bill) Bischoff farm. Now part of Villebois. Last Name: BOSTON First: Nancy Middle: O. Notes: Oregon Trail Pioneer 1852/3 Married John W. Boston, Nov. 13, 1856, Clackamas Co.
Last Name: BOSTON First: William Middle: A. Church Obituary: Justin John Dudley Bowman was born April 7th, 1984 to John and Darla Bowman at St. Vincent’s Hospital in Portland OR. He had a great love of life and enjoyed many things. He had a quick wit and always had a comeback. This always seemed to surprise people as he was really a shy, quiet person. Justin was always a great big brother to his little “sista” Karen. He served as a role model and confidant. They were best friends! In his childhood years, Justin was a member of 4H and enjoyed raising and showing steers at the Washington County Fair. He always had a great love of animals, which he continued throughout his life. He had a dog named Sierra, and cat, River. Justin also played soccer and was on the track team in high school, competing in the shot-put and discus. Justin could also be classified as a “trekkie”, knowing an absurd amount of detail about each Star Trek ship. He graduated from Tualatin High School in 2003 where he learned the craft of Technical Theater. Justin was very gifted at sound and lights and worked occasionally at the PCC Theater. He also ran sound regularly at the Tigard United Methodist Church. Justin worked multiple jobs over the years starting as a weekend animal caretaker and cleaner at Canterbury Animal Hospital when he was only 14 years old. He continued to work there on weekends and nights. His main job was working at Beaverton High School as a groundsman/custodian. He always came home with great stories and truly enjoyed his co-workers. He was a member of OSEA and he had just completed training to be the shop steward at Beaverton High School. 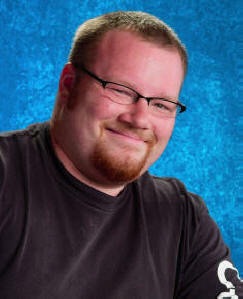 While working three jobs, Justin was continuing his education at PCC and was a diligent student. He always expressed his wish to complete his degree before Karen received hers. Some things that Justin enjoyed doing were camping at East Lake, fishing, reading, playing his tuba in the Tualatin Valley Community Band, listening to music and going on long drives in his truck, which was his pride and joy. Justin died of a heart attack on February 15th, 2010 in Yamhill, OR where he was out helping trim trees for his grandparents. He died doing what he loved: using his chainsaw (J) and helping those who needed help. Justin touched many lives in his 25 years here on Earth and he will be truly missed by all who love him. your word, and your friend. Family Notes: See more info on this individual under Frankie Brown. Hath my daughter gone before. Last Name: BRAMHALL First: Viola Middle: J. Last Name: BRANDT First: Annis Middle: E.
Ledger Notes: Age: 34 Yrs. Other Notes: Annis (Annie) E. Brandt was married to Henry A. Brandt (death & burial unknown), son of Charles and Fredericka Brandt in 17-9 & 10. Annis ("Annie") E. (McQuilkin) Brandt. The record of Annie's marriage is extracted in May R. Lepschat & G.S. Balfour, Washington County Oregon Records, Marriage Records, vol. 2, 1881-1896, p. 82 (Genealogy Forum of Portland, 1972): "H A Brandt, 20, & Miss Annie McQuilkin, both of Washington co, m 29 Nov 1894 at house of D McQuilken; Oliver K Brown, Rose [sic] Brown, Wits; J W Eldredge, Minister, p. 566." The 1900 census lists "Annis E" Brandt, 22, born in Feb. 1878 in Minnesota, living with her husband "Henry A," 26, and two children born in Oregon: Harold W., 4, b. Feb. 1896, and "Emery A," 2, b. 1878. The census further shows that her father was born in Scotland, her mother in New York. 1900 U.S. Census, E. Cedar Crk Pct, Washington Cnty, OR. Last Name: BRANDT First: Charles Middle: A. Father of Gertrude Campbell in 204-7, and Liona Marks in 17-12. Charles A. Brandt. Born about 1830 in "Prussia," Germany (not Russia, as your records have it). Although he was dead by the time of the 1880 census, the census does record data on the various children in the family, and notes that their father was born in "Prussia." Charles may have been a minister. There is at least one Washington County, OR, marriage recorded in which "Rev. Chas A Brandt" presided on 3 June 1877. The record was extracted from the Washington County Marriage Records, Book Two, and it states: "George Galbreath and Miss Emma Viola Walker m 3 June 1877 at house of the bride's mother at Tualatin in the presence of many wits; Rev. Chas A Brandt, p. 161." May R. Lepschat & G.S. Balfour, Washington County Oregon Records, Marriage Records, 1842-1880, vol. 1, p. 51 (Genealogy Forum of Portland, 1972). The mistry is solved. FREDERICKA M.
Other Notes: Recorded in the ledger under Eldridge, likely a subsequent married name. Likely Pioneer Mother of Gertrude Campbell in 204-7, and Liona Marks in 17-12. Frederika Margaret (Wickert/Weckert) Brandt. Born in "Wurttemberg" Germany. The census recorded on 15 & 16 June, 1880, shows Frederika as head of the family, aged 33, born in "Wurtemberg," and lists her occupation as a farmer. The census lists 6 children living with her at the time: "Gertrude U", 11; Rosa L, 9; Liona M, 8; Henry A, 6; Frank D, 3; and Charles D, 1. 1880 U.S. Census, Cedar Creek Prct, Washington Cnty, OR [LDS Film 1255084] (the handwritten "a" in Frederika is so tiny that indexers list her as "Frederick"). The 1920 census reported that she emigrated to the U.S. in 1850.